It's been just over a year since Toy Story 4 was announced, and even though it isn't set to hit theaters until June 15, 2018 (pushed back from its original projected release of June 16, 2017), at least some of the anticipated sequel's cast are already recording their dialogue. Tom Hanks, who many would consider the lead, as Woody, recently revealed that they're currently working on the film and that he has a four-to-five-hour session of dialogue locked in for tomorrow, December 2. You can watch Hanks' interview on The Graham Norton Show below where he also discusses the reactions he gets in public from children and their parents. 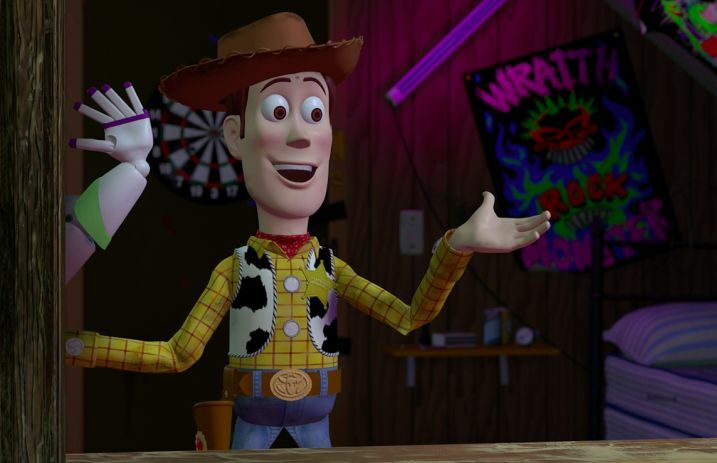 Set to release eight years since the last entry in the franchise, Toy Story 4 is being directed by John Lasseter (who also helmed Toy Story and Toy Story 2) and is being written by Lasseter alongside Rashida Jones (Parks And Recreation, The Office). As far as Pixar's foreseeable release schedule, Toy Story 4 will come in after their current in-theaters release, The Good Dinosaur, and Finding Dory (2016), Cars 3 (June 16, 2017) and Coco (November 22, 2017).